Twenty-three Republicans voted to oppose the measure. President Donald Trump on Friday said Democrats have become an "anti-Israel" and "anti-Jewish" party after they overwhelmingly passed a House resolution Thursday rejecting not just anti-Semitism but hate and racism across the board. The vote ended a week of Democratic infighting over whether the resolution should also mention Islamaphobia and other forms of bigotry following comments criticized as anti-Israel made by freshman Rep. Ilhan Omar, one of the first Muslim women elected to Congress. Trump called the vote "disgraceful" as he left the White House to tour tornado damage in Alabama. “The Democrats have become an anti-Israel party. They’ve become an anti-Jewish party,” Trump said, later repeating himself to emphasize his point. "As members of Congress and Americans we have a solemn, urgent responsibility to fight to end the scourge of bigotry, racism and hatred in our country," House Speaker Nancy Pelosi said during debate on the resolution. The measure passed 407-23, with 23 Republicans voting against it. After the vote, Rep. Alexandria Ocasio-Cortez told ABC News she thought that the fact that 23 Republicans voted against the measure was "fascinating" -- adding that the idea it was "unacceptable of them to condemn all forms of bigotry was very telling as well." "I thought it was pretty fascinating," Ocasio-Cortez, D-N.Y., said. "What it seemed like was the straw for them was that they didn’t want to condemn Islamophobia, and they didn’t want to condemn anti-black racism. They didn’t want to condemn racism against Latino Americans or immigrants. And I think that’s why a lot of them voted no, and that to me is very telling." Omar, whose comments reignited a debate about anti-Semitism that ultimately led to the resolution, refused to discuss the matter, ignoring several questions from this reporter and others. A short time later, Omar issued a joint statement with Reps. Rashida Tlaib and Andre Carson -- the other two Muslims currently serving in Congress. "We are tremendously proud to be part of a body that has put forth a condemnation of all forms of bigotry including anti-Semitism, racism, and white supremacy," the trio noted. "At a time when extremism is on the rise, we must explicitly denounce religious intolerance of all kinds and acknowledge the pain felt by all communities. Our nation is having a difficult conversations and we believe this is great progress." Breaking down the vote tally, 173 Republicans supported the measure, while one Republican - Rep. Steve King of Iowa - voted "present." Across the aisle, 234 Democrats voted in favor of the resolution, while one Democrat missed the vote. The resolution condemns anti-Semitism "as hateful expressions of intolerance that are contradictory to the values and aspirations that define the people of the United States" and also condemns anti-Muslim discrimination and bigotry "against minorities as hateful expressions of intolerance that are contrary to the values and aspirations of the United States." Most Republicans -- nearly 88 percent of the House GOP Conference - voted in favor of the measure, though Rep. Doug Collins, the ranking Republican on the Judiciary Committee, questioned why the text was seven pages. "I am here with my friend from New York debating a resolution that all of us should have learned kindergarten. Be nice. Don’t hate," Collins, R-Ga., said. "This resolution doesn’t need to be seven pages." While the resolution condemned recent death threats against Muslim members of Congress, Collins wondered why it didn’t condemn death threats against him that led to a conviction and prison sentence. "Why didn’t we condemn that?" Collins wondered. 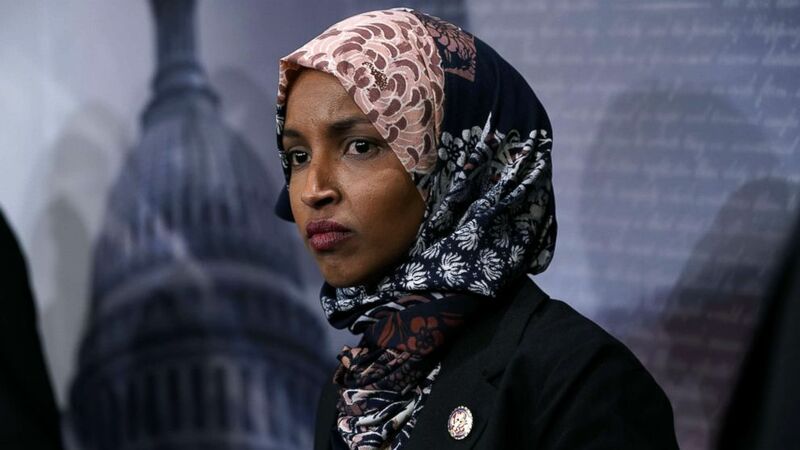 Other Republicans expressed frustration that the resolution did not call out Omar by name – as the GOP version of the resolution did. "We are here today because of anti-Semitic rhetoric said from one member of this Chamber again and again," said Rep. Lee Zeldin, one of two Jewish House Republicans. "If that member was a Republican, that member’s name would be in this resolution." Rep. Louie Gohmert, who voted against the resolution, complained the measure was "watered down." "We came here because of an anti-Semitic remark," Gohmert said, adding the resolution "now condemns just about everything." 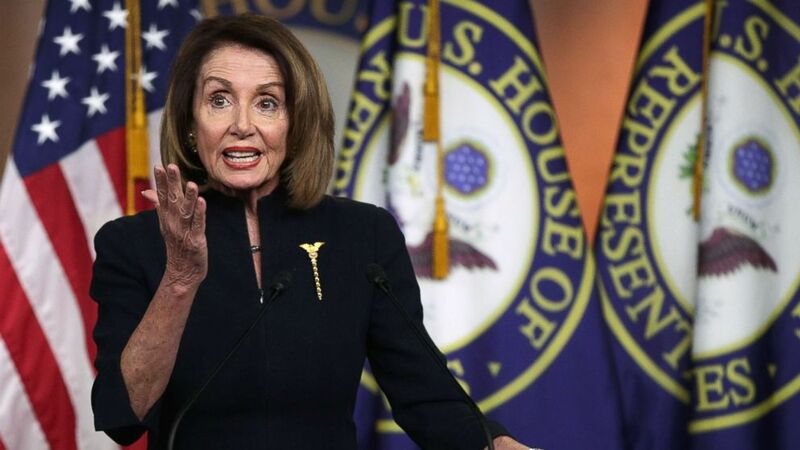 House Democratic leaders hoped to end the first major internal fight of their new majority by going ahead with a vote Thursday on a resolution "opposing hate," with Pelosi saying they needed to "remove all doubt" after the remarks made by Omar. 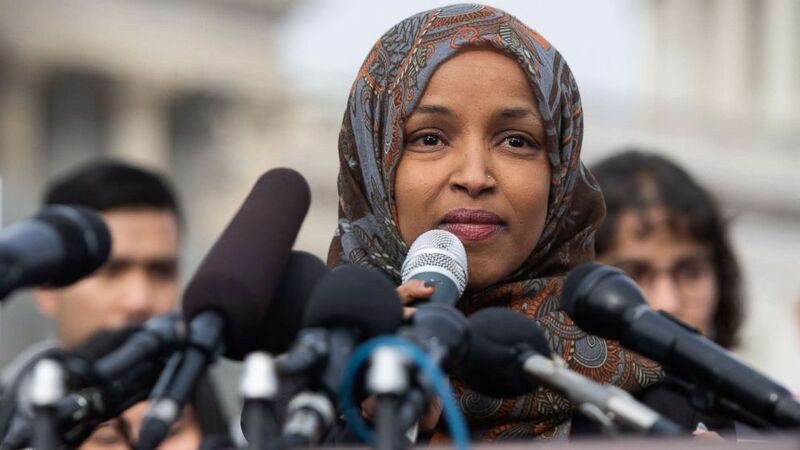 Party leaders have struggled this week to negotiate a compromise over how to handle a resolution condemning anti-Semitism, initially crafted with the intent to soothe members offended by Omar, who faced a new wave of criticism for ostensibly perpetuating stereotypes against Jews. (Alex Wong/Getty Images) Speaker of the House Rep. Nancy Pelosi speaks during a weekly news conference at the U.S. Capitol, Feb. 14, 2019, in Washington, DC. The new text of the resolution was released early Thursday afternoon, before being tweaked again just before the debate on the measure began late Thursday afternoon. The measure, which does not name Omar, condemns the death threats received by Jewish and Muslim Members of Congress, "including in recent weeks." At a news conference at the Capitol Thursday morning, Pelosi somewhat excused Omar’s recent rhetoric, explaining that the 37-year-old freshman Democrat may not have appreciated "the full weight of how it was heard by other people." "I don’t believe it was intended in an anti-Semitic way," Pelosi, D-Calif., stressed. "But the fact is, if that’s how it was interpreted, we have to remove all doubt as we have done over and over again." Pelosi said Democrats would craft a resolution to bring to the floor "that will again speak out against anti-Semitism, anti-Islamophobia, anti-white supremacy and all the forms that it takes -- that our country has no place for this." Pelosi explained that "it was important" to her to speak to Omar, who was traveling on a congressional delegation to Ethiopia and Eritrea, before deciding how to proceed as a caucus. "I thought the resolution should enlarge the issue to anti-Semitism, anti-islamophobia, etcetera -- anti-white supremacist -- and that it should not mention her name," Pelosi said. "And that’s what we’re working on -- something that is one resolution addressing these forms of hatred, not mentioning her name. Because it’s not about her. It’s about these forms of hatred." Nevertheless, Pelosi said Omar "may need to explain" the intent behind her remarks. "It’s up to her to explain but I don’t think she understood the full weight of the words," Pelosi emphasized. "I feel confident that her words were not based on any anti-Semitic attitude but that she didn’t have a full appreciation of how they landed on other people, where these words have a history and cultural impact that may have been unknown to her." Omar, from Minnesota, made history as one of the two first Muslim women elected to Congress, refused to answer a series of open-ended questions on the controversy when ABC News caught up with her inside the Capitol on Wednesday morning. In a week in which House Democrats are celebrating their new power by voting on sweeping anti-corruption legislation, the controversy created a distraction that tested the patience of leadership -- and even spilled into the early field of 2020 Democratic presidential candidates. 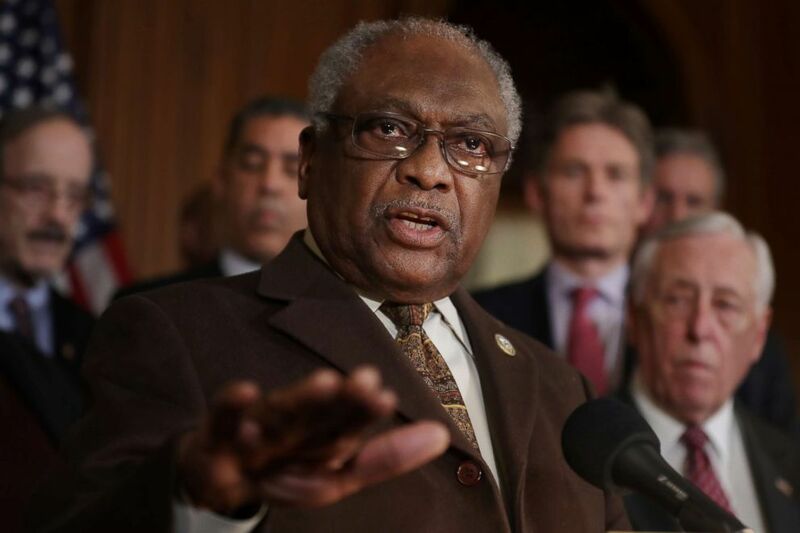 (Chip Somodevilla/Getty Images) House Majority Whip James Clyburn (D-SC) joins fellow House Democrats for a news conference on the Privileged Resolution to Terminate President Donald Trump's emergency declaration Feb. 25, 2019, in Washington, D.C.
A senior Democratic leadership aide said that Majority Whip James Clyburn implored the caucus to vote Thursday in order to “inoculate” Democrats from a procedural vote on H.R. 1, where Republicans could have forced a vote on their own version of a resolution, which specifically called out Omar while condemning anti-Semitism. A second Democratic aide agreed the call to vote Thursday was made "to get people back to focusing on HR 1," but added that some senior members of the Congressional Black Caucus "were a little taken aback by the timing since rank and file haven’t actually seen the resolution yet." Pelosi denied the assertion that Republicans forced Democrats into scheduling a vote, insisting "this has nothing to do with it." Although Democratic leaders had circulated vanilla text earlier this week to their members recapping the history of anti-Semitism and concluding that Congress rejects it -- and even though the draft resolution did not directly name Omar -- in a political environment deeply mired by political incorrectness, some Democrats felt it was inappropriate to single out Omar even indirectly, fighting to amend the text to add language that rejects Islamophobia and racism as well. With a vote now anticipated on a broadened resolution condemning the full spectrum of hate, the caucus appears ready to move past the unsavory debacle. A vote initially had been anticipated on a four-page resolution narrowly rejecting anti-Semitism as early as Wednesday but was delayed after House Democratic leaders reopened the text of the resolution on Tuesday evening to appease members of the Congressional Black Caucus and Congressional Progressive Caucus who threatened to derail the vote.